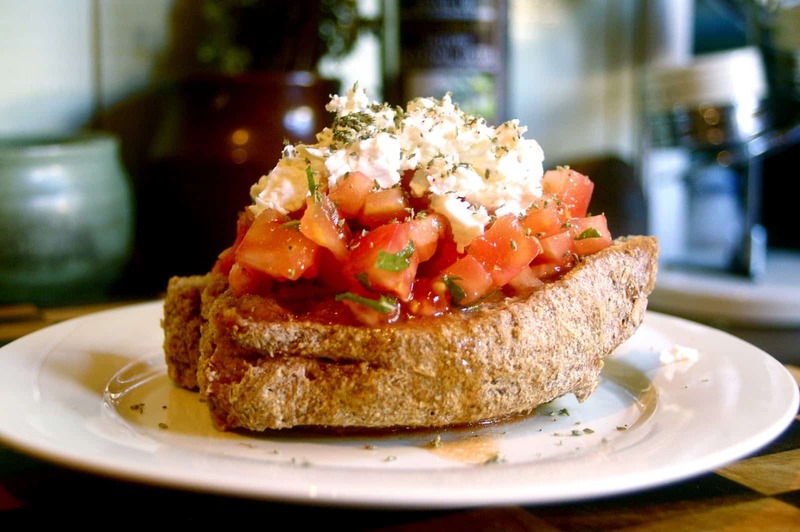 The Cretans are famous for making a delicious hybrid of a bruschetta and a salad! Its all because of the way all the ingredients infuse together for the perfect bite... read on to see how you can achieve this and make it a family-favourite! (1) remove skins of tomatoes and dice them. (2) drizzle some water (room temp) on the rusks, lightly massage and then shake off excess water, then drizzle some olive oil to soak into the rusk. (3) half cut and half hand crumble feta (to get that rustic feel) and place onto rusk. (4) pile on the tomatoes. (5) season with freshly cracked black pepper and oregano. (6) drizzles your allio on your toppings, ready for serving! Now, enjoy every mouthful! Remember to purchase your new bottle of allio here!